Give a tasty and special treat with personalised Christmas Chocolates Biz Card Treats. Christmas is always a busy season and if your trade show or event falls around this season, it would take more than just handing out your business card to potential clients for you to get noticed. You must do something creative! Luckily, we have promotional Christmas Chocolates Biz Card Treats for you! These are business card holders with free Christmas chocolate inside. What a great way to stand out and introduce your company to your perspective customers! Personalised Christmas Chocolates Biz Card Treats contain 6 pieces of delightful Christmas chocolates in the shape of bells and stars. These are all individually wrapped in Christmas foil colours. All these are in a clear plastic packaging. Potential clients will stop and take notice of the goodies inside. Your business card is inserted in the opening. Handing these yummy treats out at events increases the likelihood that your business card will be kept instead of tossed away in the bin. 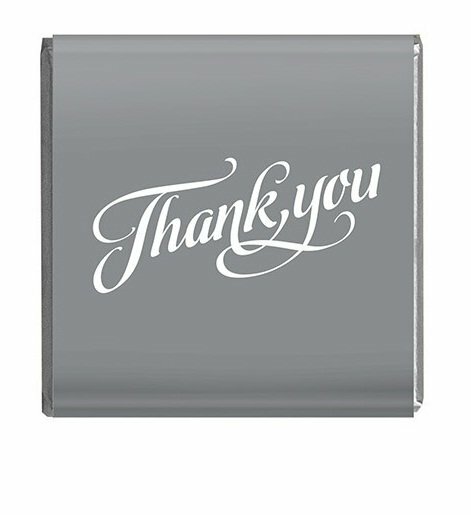 Should you wish to place your brand instead of a business card, you are free to do so. 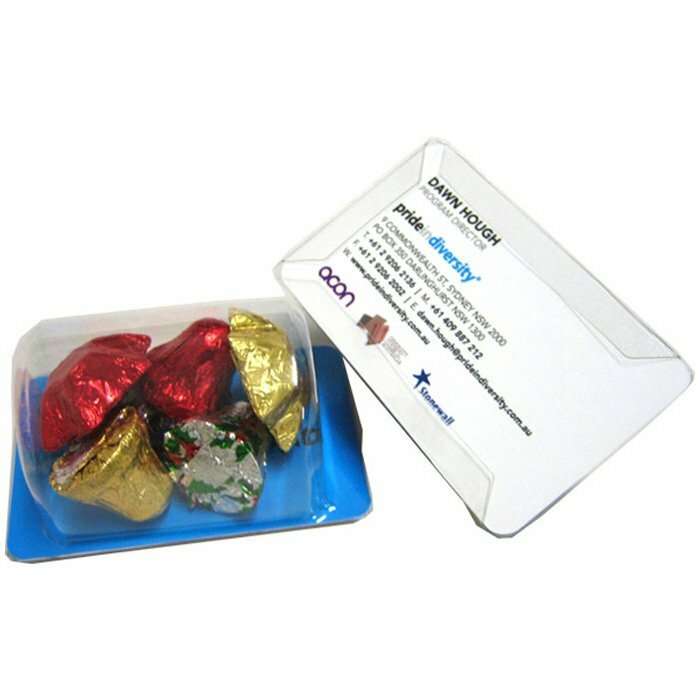 You can also create a personal Christmas message whilst you’re at it and use these customised Christmas Chocolates Biz Card Treats as a gift to your customers and clients. As long as the print is in standard business card size, you can be as creative as possible! For a minimal fee, we can do the printing and card insertion for you. For a classic Christmas treat, you may want to consider the mouth-watering promotional Candy Canes Biz Card Treats. 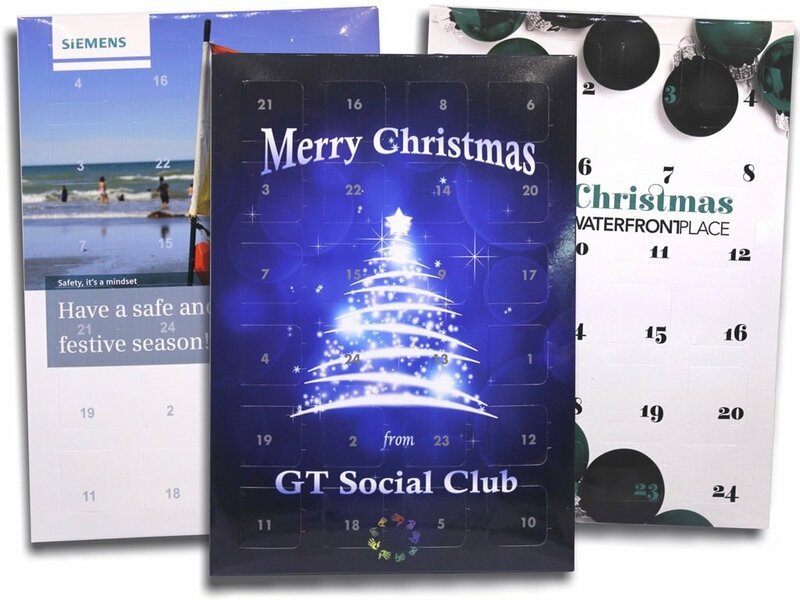 For non-Christmas related lollies, do check out our other branded Biz Card Treats. We’re certain you’ll find the perfect promotional lolly for your needs. Let’s get this order rolling, shall we? With just a few steps on our website, your order will be out the door in no time. There’s also the live chat function, should you be needing some answers to your questions. You can also talk to our sweet tooth experts. The number to dial is 1300 008 300. We look forward to hearing from you! If you wish to really inflate your brand this gifting season and perhaps confectionery isn’t quite enough, then how about sprucing up your event with some cool looking promotional head wear. After all, caps and chocolates do go hand in hand. So be quick, and hop over to our Fast Caps website to browse our range. Maybe even start your search by checking out our popular Flex Cadet Style Cap. Quotes can be provided for business cards.